The internet is good for a lot of things, including meeting strangers who become friends. But let’s be real. If it wasn’t for cats, the internet would be pretty boring. 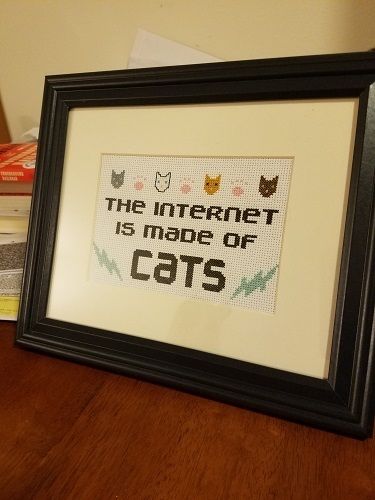 Tell the world the truth with this framed and ready to hang crosstitch made by Melinda.